Step 2: The top of the hat magically appears after you have cut the brim! So keep hold of these circles for the top of the hat. Step 3: Cut out the side / ties as indicated on the pattern x 4. Sew these pieces with right sides together to create 2 x very long rectangular pieces. Step 4: Take the circular tops and find a middle line by ironing a crease down the middle. Make sure you do the same place on the other circular shape. If yours is an oval shape do ensure you choose the same middle crease on both so you are working on the same shapes as these will eventually have to match up. Step 5: Attach the long piece to the top circular shape. Line up the sewn seam to one of the creases and sew around to the other crease. Repeat this process on the other side and with the other top and side pieces. 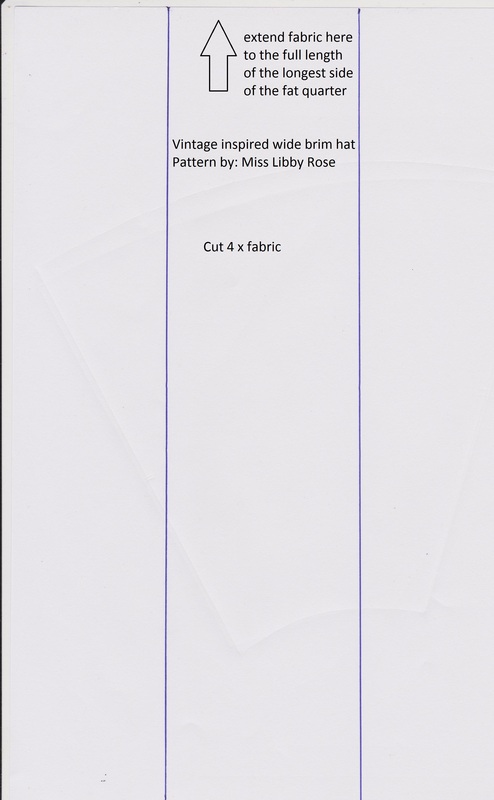 You now have 2 x top pieces with sides and with extra fabrics extending off the edge. Step 6: Find a middle fold on the brim and press to make a crease. 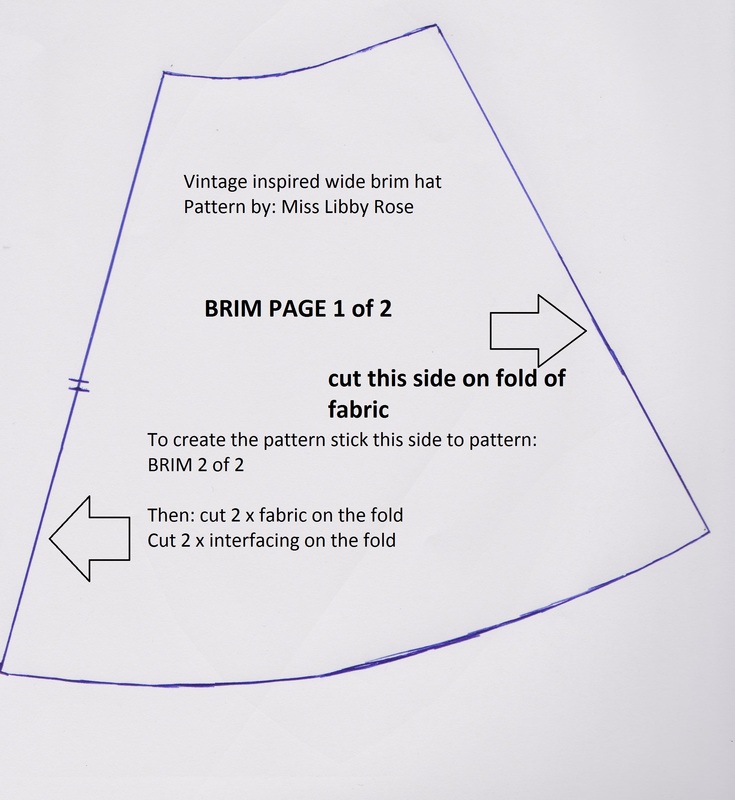 Ensure you have the same shape crease on both brims. 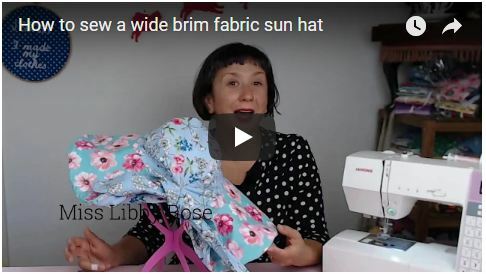 The brims go slightly wider on the side so ensure you fold the same for both brims. Step 7: Lay the hat in half lengthwise and sew aound the ties to enclose them in. Repeat on the other side. Step 8: Apply interfacing to both brims. Step 9: Put the whole hats inside each other and sew around the outer brims enclosing them in, leaving a gap 4 – 6 cm where ties are hanging out! Step 10: Turn the whole hat through where you left the gap, roll and press out flat. Step 11: Hand sew up the hole left and you can now style your hat by rolling up the brim and tying it up! 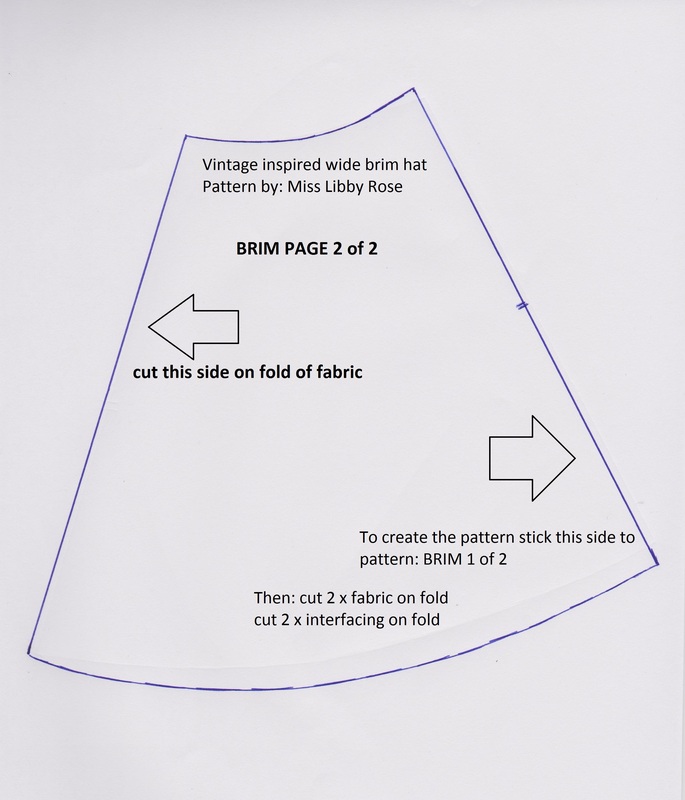 Previous post: How to sew a vintage style military hat with button!